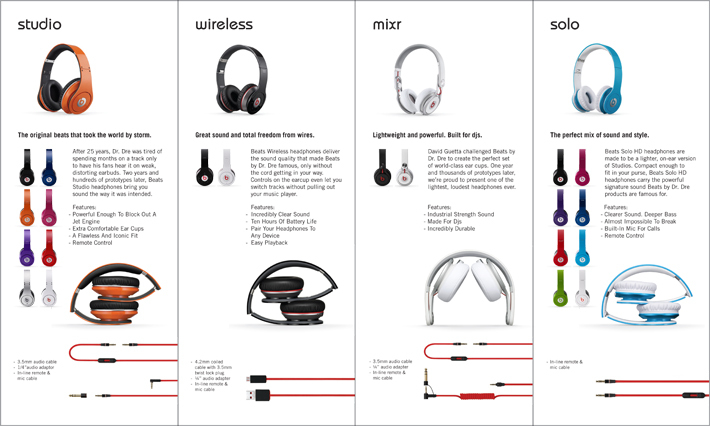 The brochure for Beats by Dre is designed for their over the ear headphone line. 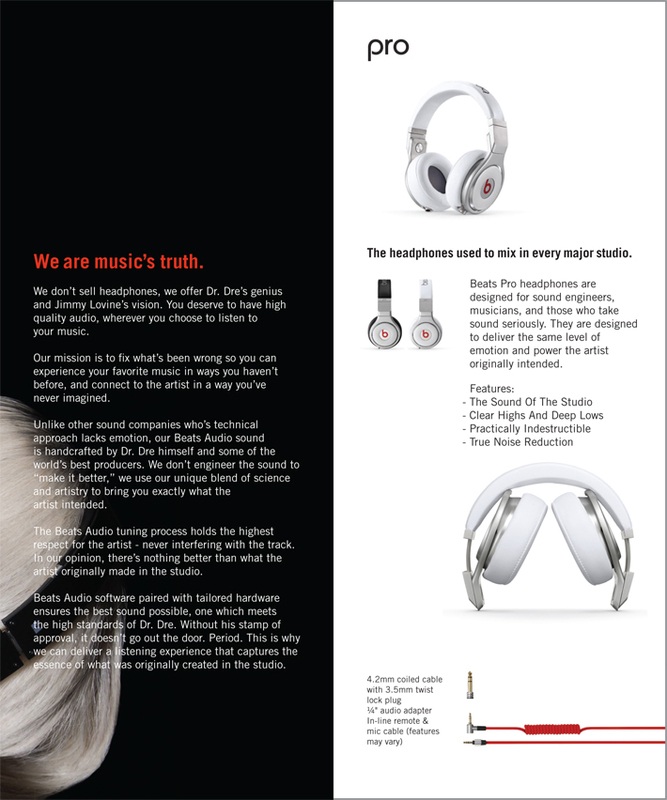 The brochure shows the consumer all of the features each headphone has and the colors in which they come in. 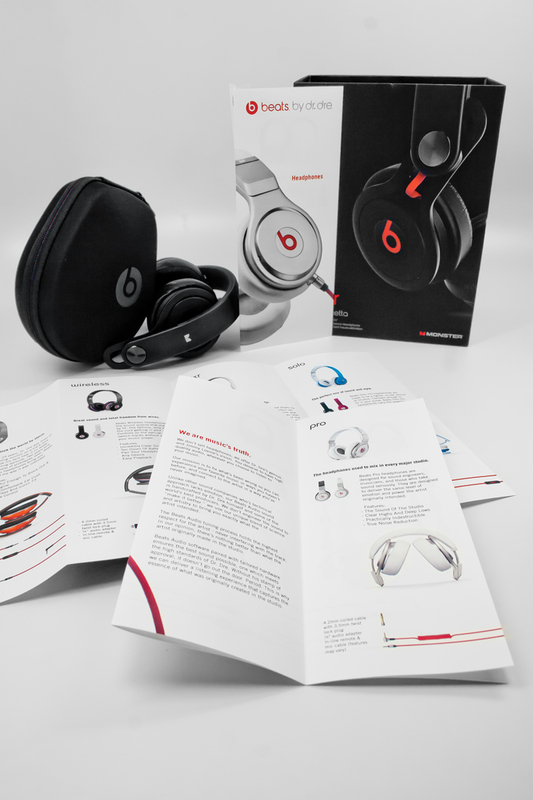 Two brochures were designed with the same content but for different audiences. 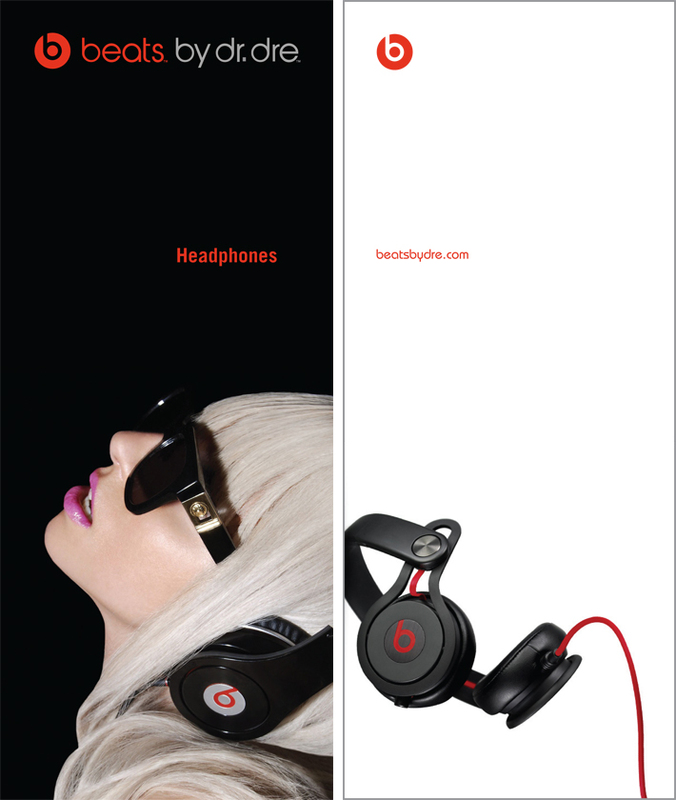 The first brochure with Lady Gaga on the cover would be for commercial use and the second for consumer. 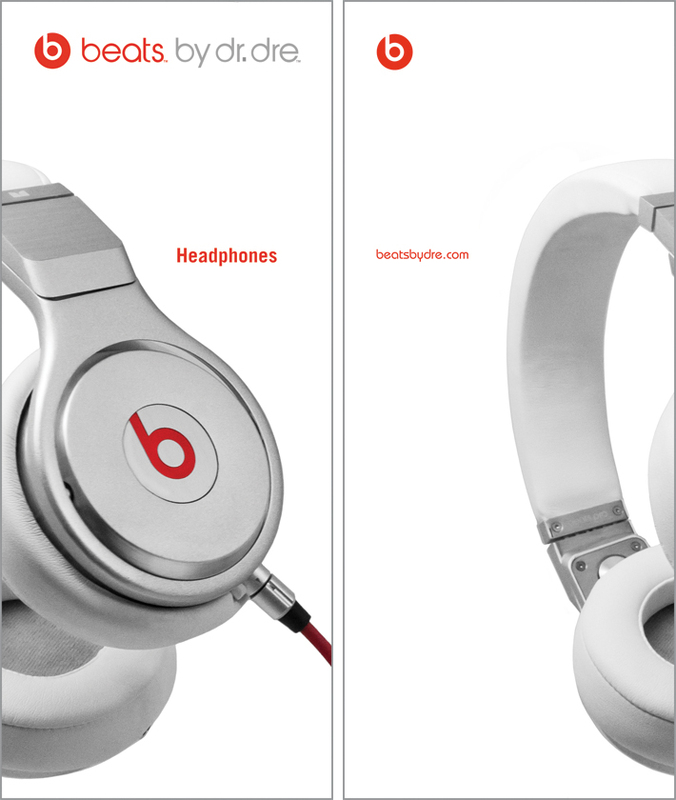 Front and back of the brochure. 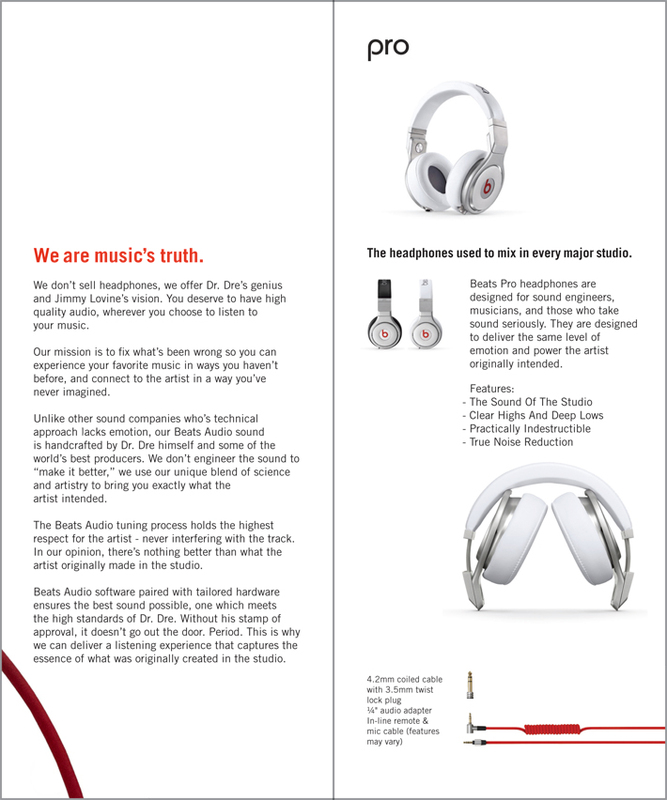 Inside four panels that is the same for both brochures.